2. 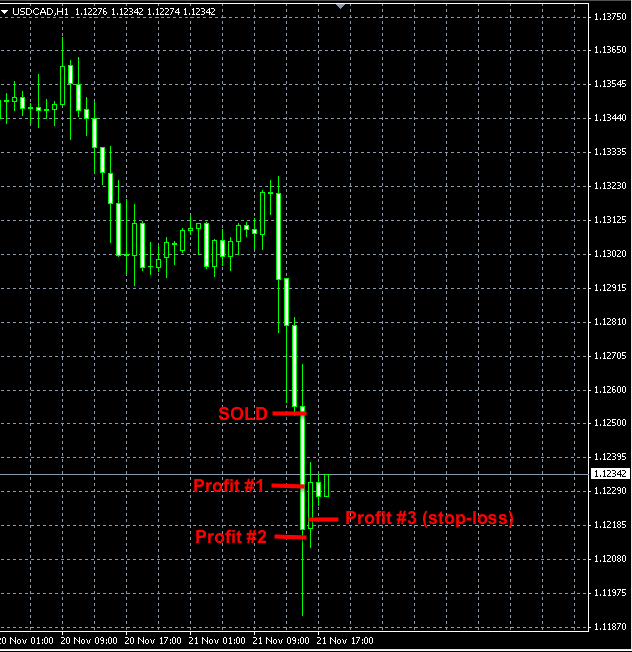 USDACAD Forex signal brought in +98 pips of profit. 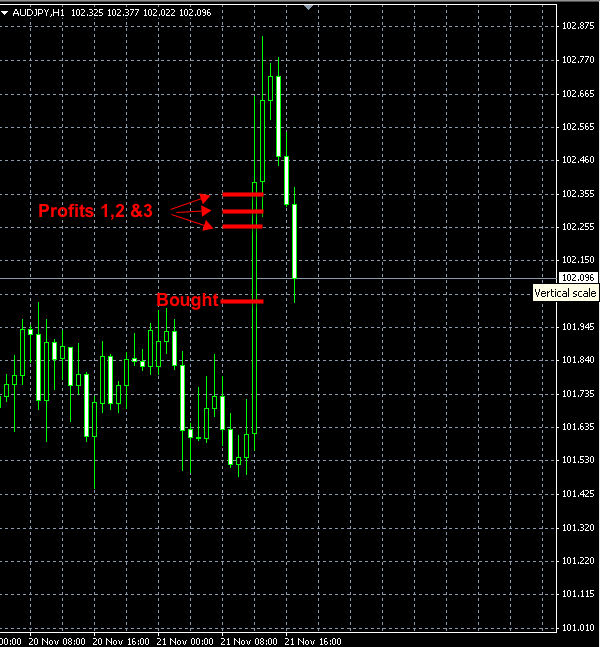 Today’ Forex signal was to buy CADJPY. So far so good! The fist profit target has been reached. The current stop-loss orders for the remaining 2 units are at 100.19, which is pretty much at the break even (see the actual signal below). No signals were triggered today.